Dayron González studied at the Superior Institute of Industrial Design for a year, after which he studied painting at San Alejandro School of Fine Arts, graduating in 2007. He was a member of the AHS (Asociación Hermanos Saiz), “Arte y Conducta,” the art workshop directed by Tania Bruguera and Lázaro Saavedra (2006-2008), and was also a founder member of MAKINAH (Professional Association of Cuban Contemporary Visual Artists). He has received numerous awards including the Luz y Oficios Award, First Place at the Annual Salon of Contemporary Art in Boyeros, Havana (2006) and Third Place at the Annual Salon “13 de Marzo” in Havana (2004). 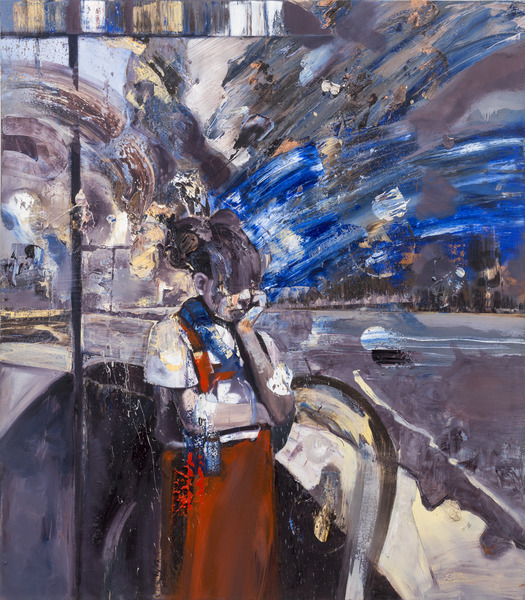 Cuestión de tiempo (Matter of Time), 2014. Oil on canvas, 64 x 56 in. 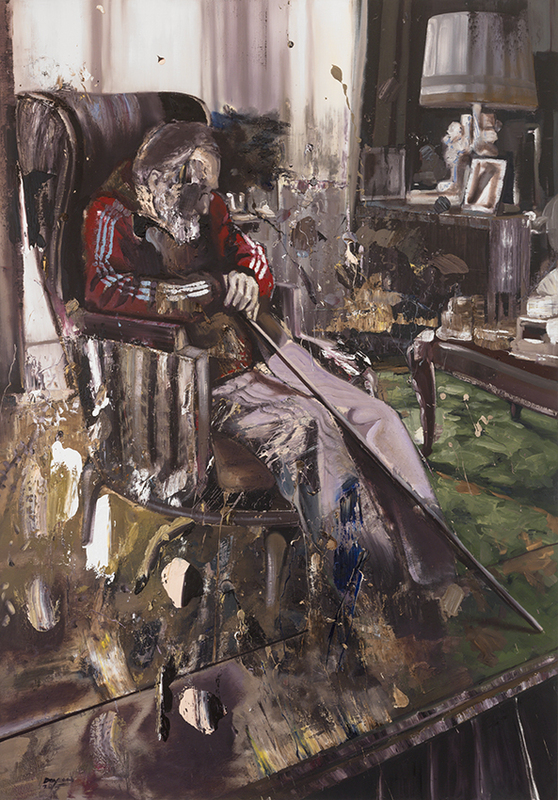 Cuarto de invierno (Winter Room), 2015. Oil on canvas, 81 1/2 x 57 7/8 in.